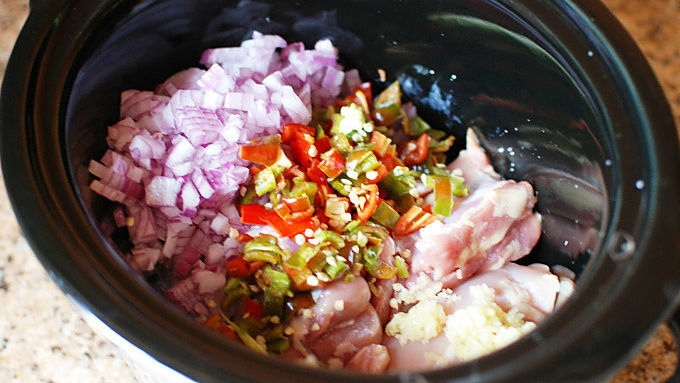 Add the chicken thighs, beer, onion, jalapeno peppers, garlic, taco seasonings, and green chiles into a slow cooker. Mix well and turn on low for 6 hours. 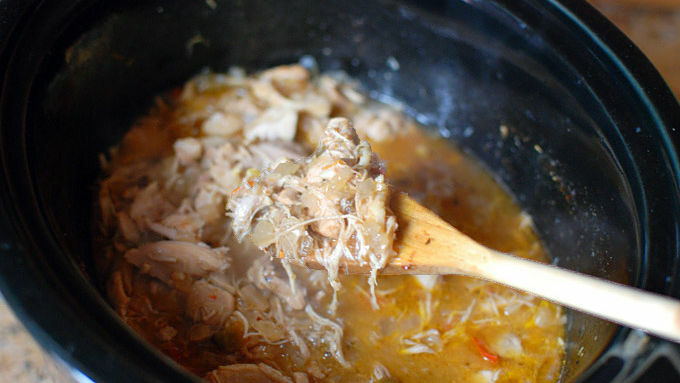 Once the meat is fully cooked, shred the meat right in the slow cooker with a fork. Serve in either soft or hard taco shells and top with cheese, salsa, sour cream, and lettuce. 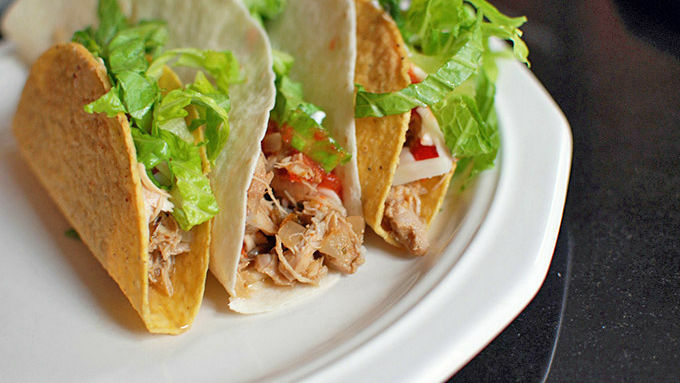 Easy, delicious beer chicken tacos are just a slow-cooker away. With just a few ingredients and your favorite beer, these chicken tacos will soon become your new go-to dinner. Tacos are one of my go-to comfort meals, but as I have become a better and better cook, my taco recipe gets harder and harder to make. I don’t know when I got so crazy about making ground beef tacos, but for some reason it takes me forever now, getting the spice blend just right, browning the onions to the perfect level, and simmering down the sauce to just the right consistency. We all know that perfection is the enemy of good, and now I don’t make tacos enough because it's too hard! 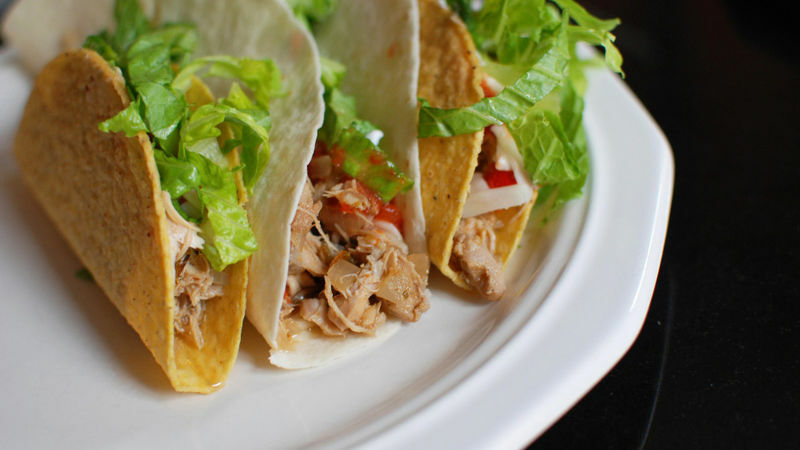 That’s why I love this slow-cooker beer chicken taco recipe. It takes 5 minutes to throw everything into the slow-cooker in the morning, and when you get home from work, the tacos are sitting there waiting for you! This recipe is easy to customize. I use boneless skinless thighs because they shred the best without getting dry. And you can take the seeds out of the jalapenos if you want, but I like it hot! Apparently September 28th is National Drink Beer Day, which was confusing to me because I celebrate all year! Anyways, this would be a good recipe for that day because you can put one beer into your meal and one into a glass. Then you just need to gather up all of your ingredients and let everyone build their tacos. Salsa, sour cream, cheese, and lettuce are my favorite toppings. Soft or crunchy, it's up to you. I like both!